Resource > DVD > How to Play Your DVDs on PS4 in 2019? Summary: How to play your DVDs on PS4 in 2019? You can convert or rip your DVDs into the video format that is supported by PS4, and then enjoy it on PS4. Here we list 3 best DVD to PS4 rippers and show you how to convert DVD to PS4. A lot of times the DVDs are not protected and it allows you to copy the contents and take it over to your favorite computer or a gaming console like PS4, let's say, to be able to playback them later. But, not everything is the same as Copy or Ripping and there is dedicated software to do those tasks brilliantly. Also, many times the DVDs are themselves protected and therefore it is not possible to directly open and copy its contents to play DVD on PS4 or any other device like your smart phone. In those cases too you need dedicated software that does decryption, removing protection and ripping the DVD's contents and making them available to you. This process can be handled with specialized software like DVDFab, Wondershare Video Converter, and other online video converters as well to play DVD on PS4, finally. The alternatives you choose depend on the task, the amount of it, the ease of usage of one service in your locality and system vs. the other and so on. The procedure is same in most of the cases. It is primarily a 3-step process, you select the DVD source by browsing to the location, select a preset for output, which is a PS4 and then select the output desired location again by browsing before finally clicking that “Convert” or “Start” button that finishes the job after a while. There may be things like showing real-time progress of the ripping process, allowing advanced settings, even in the selected PS4 preset and others so that you can play DVD on PS4 in your own customized manner. The reason we tell it makes waiting for the least painful is that it comes with the latest technologies with its 10th edition. The CPU and GPU have been fused together by Intel to make things faster, speed up processes, use GPU for computations in graphics and other stuff. This reduces the load on the CPU, and makes working through several applications in a breeze without any hangs. Supposedly you wished to convert a Blu-ray and it has 30GB of content, any ordinary software will use up all the RAM and CPU and freeze. Such things can be avoided with the wise use of your alternative based on your scenario. In DVDFab, you get icons for the devices once you head over to the software. You can select the profile switcher to choose Sony PS4, go ahead and do other advanced settings as well. Finally, add another DVD in the queue or choose the output location and click Start. During this, you will also get the option to choose the specific audio track, subtitle, title of the DVD to rip and so on. The software automatically decrypts the contents of the DVD and shows you the available list of tracks and files on it so you do not need an additional decrypter or DRM removal software to be able to read the files on the disc. Thus, after the conversion is over you can play DVD on PS4 and also on the PS3. 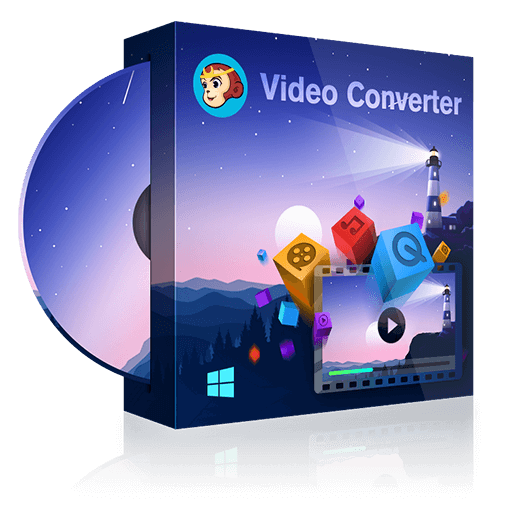 This is a versatile video converter that has been running high and low in the industry and mostly among end-of-the-line users to do and take care of their daily tasks. The objective is simple that is, converted and movies or videos for playback on a PS4. In this case, it is a DVD, and so we need a DVD Ripper like DVDFab DVD Ripper or DVDFab's DVD Converter. In AVC you can choose a DVD as its input location. The PS4 is an upgrade over the last PS3 and has HDMI and 1080p support as well. The adding of DVD files can be done also using Drag & Drop Files feature. It then legally removes DRM and reads the titles in it. In the output, you can select the Sony icon and follow by several file formats like Sony PS4 MPEG-4 AVC Movie in 1080P or something like that. If you're well aware of the file formats you can also do it without getting into the presets, but presets make your life simpler. Then, AVC also gives some additional editing options like changing brightness level, replace audio or choose a specific track, trimming, adding watermark and finally clicking the “Convert Now” button. Then, wait till it's done, however, you can choose to wait for the least using a powerful tool like DVDFab. This is also a simple tool that allows you to load a DVD using the Load DVD button; this will import the DVD files on its own. This allows both ISO and IFO files too to be read by the program. Once the loading is done, you can select the output device using the set of presets and choose the output location to start converting at the hit of a button. It allows free version downloads for Mac and Windows that is the case for DVDFab. If you also have an Xbox One game console, you may also want to learn how to play DVDs on it. If that is the case, please check the methods to play DVDs on Xbox One. Looking for the best DVD authoring software program? Check out the top 5 best DVD authoring software programs in the article to find the one you want.